MDP Web Presents: Big 4 Interview with Author Garth Nix – Spotlight Report "The Best Entertainment Website in Oz"
Interview conducted By Bec Stafford. 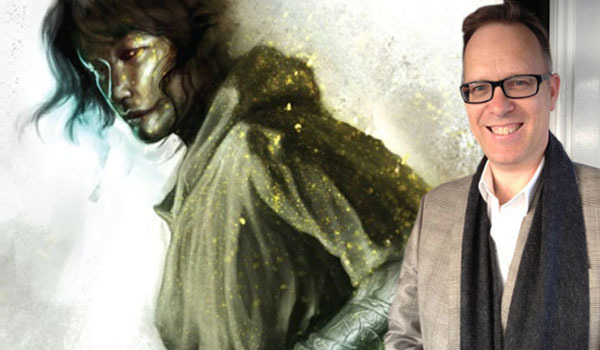 Our Friends from the MDP web provided us with this great interview with author Garth Nix. 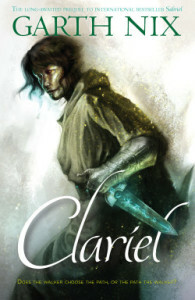 Set approximately 600 years before the birth of Sabriel, Clariel is the highly anticipated prequel to the first book of your Old Kingdom trilogy. What’s it like writing a prequel, and what have been some of your favourites from literary history? 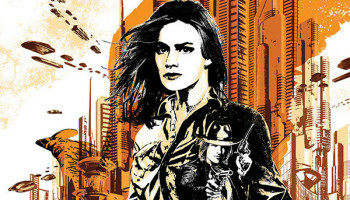 A prequel often gives you more freedom than a sequel, particularly if you set it far enough back that any difference in the world or setting can be explained by the passage of time. An interesting thing for me was having to go back and re-read my earlier novels and notes, and I discovered I had forgotten a great deal, but I had also set up things I needed without ever knowing that I would. The mystery of the writing subconscious . . .
As for favourite prequels, the only one I can immediately think of is The Magician’s Nephew by C. S. Lewis, which in a personal ordering of the Narnia novels would be near the top. Apart from that, few spring to mind! Clariel explores both sorcery and magic. Can you tell us a bit about Clariel’s hidden powers? And have those themes always intrigued you? The Old Kingdom books are in general heavily about Charter magic, ordered and structured magic cast by visualising and drawing upon symbols that define and describe the universe; and Free magic, a raw sorcery that is directed by will alone. In CLARIEL, I have gone more into the nature of Free Magic and Free Magic entities, exploring this aspect of the world in greater detail. I have always been interested in myth, legend, belief and superstition; all those things are basic building blocks for a fantasy writer to develop magic. I guess I have always been interested in the use, misuse, and cost of power in general, magic being a subset of this. You’re heading off on a long book tour of the U.S and U.K this month. What do you like most about book tours, and can you share some funny and/or interesting anecdotes from your past experiences? The best parts are the events themselves, visiting bookshops, meeting the staff, meeting readers. Even after all this time I still find it kind of amazing that real people read my books! What’s not to like about talking about books (not necessarily my own) with other booklovers? The worst parts are the travelling. I’d love to be able to open a door at the back of one bookshop and step out in front of the next bookshop halfway across the world. Like all authors who have been in the business a long time, I have done my share of mortifying book events, where there are few people, the books aren’t there or other things go wrong. And then there are the travel complications, like arriving at midnight in a snowstorm to be told by the hotel clerk that “We have your reservations, which were and are confirmed, but we have no rooms.” I left the publicist to sort out that metaphysical conundrum and fell asleep in the lobby. Eventually, a half-painted room with the painter’s ladder still in there was found. By that stage I didn’t care! You’ve answered this question before, but we wonder if it’s changed: Which of your fictional characters Burns Brightest in your mind and why? The character that is burning brightest right at this moment is Lady Godiva because I am finishing an overdue story for the anthology CRANKY LADIES OF HISTORY where she is the main character, and I have only left writing that to answer these questions and in a few minutes I will go back. 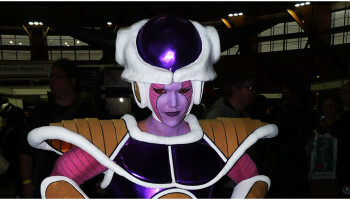 Of course, she is not exactly the character from the well-known legend . . .